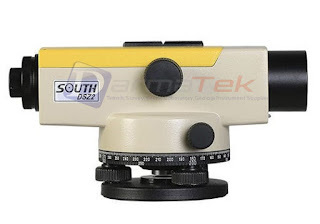 South DSZ-2 is used in 3rd order leveling and in geodetic control, construction of roads and industrial applications. The DSZ2 with FS1 may be used in 2nd order leveling or in monitoring structural deformation etc. The compensator improves performance and obtaining higher efficiency. It can be operated in the temperature from -30℃ to +50℃. • Equipped with a press button for compensator checking. • Dismountable eyepiece,assorted accessories,such as:Diagonal Eyepieces. • Adopt crossing suspender frame and compensator of air damper. We know that compensator is made up of metal material and glass material, the temperature can affect these materials results in slight changes of compensator, then causes change of I angle. The instrument without temperature offset is always not to reach the standard of nation(GB/T10156-1997). In the diagram, the green area where between the red lines is a acceptable area when the compensator is changed along with the temperature’s change (Company standard: O.5″/℃). The red thick line A is a change curve for angle I of level without temperature offset. The DSZ 2 levels add a device of temperature offset, It can correct the change value of angle I when changing the temperature. The green thick line B is a change curve for angle I after offset, the instrument can be good work in the mal-conditions of larger tempe rature change, especially apply to transformation observation at a longtime.